The car washes are complete, the spaghetti dinners served, funds raised and you’re ready for camp. 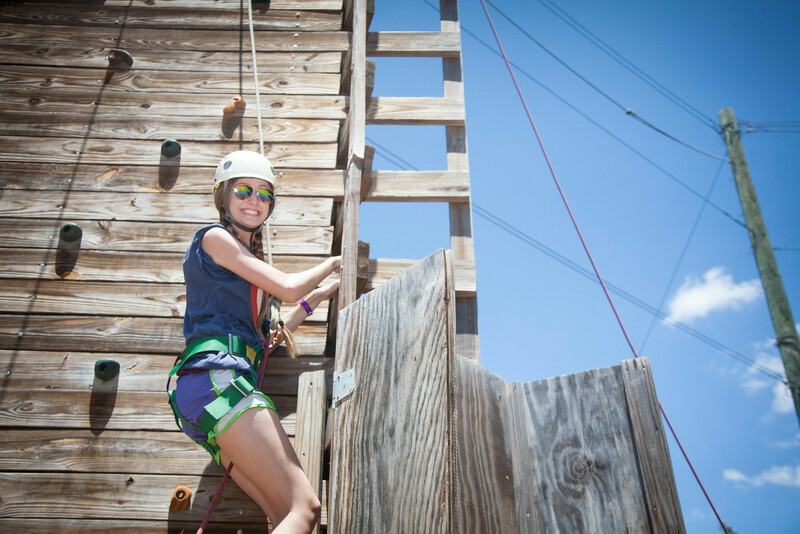 For many youth and children, a week at camp each summer is the highlight of the year. It’s a time to get away from the mundane daily routines, meet new people and have lots of fun. It can, however, be much more than that. Camp can be a truly life-changing experience. However, life-changing camp experiences don’t just happen automatically. It takes intentionality from camp staff, youth and children’s leaders and the hands of the volunteer counselors and sponsors that come with each group. As a counselor, you will be spending concentrated time with your students, which will open doors to usher them into a more meaningful spiritual experience. While camp is absolutely meant to be a time of fun and silliness, the ultimate goal reaches far deeper. “As adults interact with campers, there are all kinds of contexts within the program where they can have spiritual conversations with a student,” Dawdy explains. Be willing to get hands on. “Camp is about human relationships,” Dawdy recalls. “Those relationships are rich, and they’re demanding.” While it can be tempting to sit on the sidelines and watch, getting in on the action of a bungee race, a rousing bout of tug-of-war or water-laced relay game can facilitate bonding between yourself and the students. Experiencing the lighter side of camp together will lay the foundation for the deeper conversations that will inevitably arise as the week progresses. Listen more than you speak. The power of a listening ear is underestimated in our culture today. Keep your ears open at meal times, in the van on the way to camp, walking between activities and in the cabin at night as the students wind down. Dawdy wants leaders to remember “as an adult working with children and teens, you have to listen twice as much as you talk. It is through their words you will learn about their hurts, fears, joys and dreams.” So, by all means, be a part of the conversation, but make it a point to be intentional about actively listening to your students. Pray before you speak. Everything is magnified at camp. The highs are higher, and the lows far lower than they would be out in the “real world.” As you’re listening to your campers, you will likely hear things that may shock and surprise you, or that you might not know how to handle at first. While prayer should always be a priority for the Christian, it should be even more so at camp. Bathe everything you do in prayer—starting in the weeks and months leading up to camp—and take extra time to pray before counseling a student or offering advice. Keep the Word within reach. Keep your Bible handy—in your pocket, backpack, or on your phone—with passages marked for easy access. Focus on Scriptures that deal with salvation, sin, forgiveness and grace. God’s Word is a powerful tool that, when wielded correctly, can provide truly life-changing results. It may difficult to use, however, if it’s sitting on your bed in the cabin. Keep the Main Thing in focus. “The question each counselor must ask is, ‘How can I as an adult become a benefit, spiritually, to each child?” Dawdy says. “For some, it may be that you love on them as best you can, for some you may need to listen to their hurts and cry with them, and for others it may be answering questions. The main thing, however, is to—without pressuring or prodding—point them to Jesus.” It can feel uncomfortable at times to steer a conversations towards Jesus, but the uncomfortable spaces are often where He can do His most powerful work. Visit texasbaptists.org/camps for more information.